So now you know why HR Certifications are important for your career – even at the entry level. In fact, even the recruiters now realize the importance of HR certification and have replaced from ‘preferable’ to ‘required’. As the industry experts say that the evolving challenges in HR has yielded tremendous opportunities for certified HR professionals as compared to non-certified ones. Now that you know all the benefits of HR certifications let’s have a look at some of the best HR certifications for beginners in 2019. Associate Professional in Human Resource or aPHR: One of the best HR certifications for beginners aPHR is a gift for HR professionals who are just starting their careers from the house of Human Resources Certification Institute or HRCI. HRCI is one of the leading credentialing bodies in the HR industry. With around 40 years of experience it has set the standard for HR mastery and excellence globally. aPHR is one of the best HR certifications to initiate yourself into the HR career. Designed especially for HR professionals who are just starting their HR career and are eager to prove their knowledge of their HR expertise to the recruiters and hiring professionals. 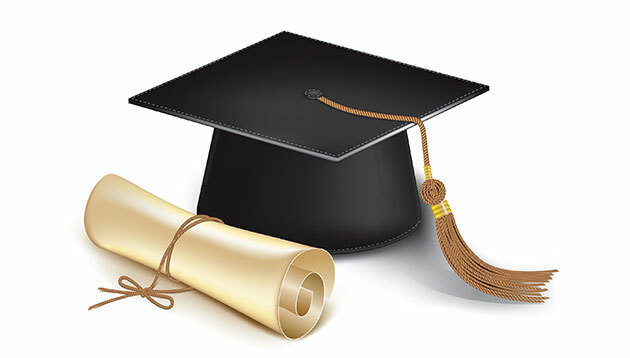 The eligibility criteria for aPHR is either a high school diploma or its global equivalent. If you are not experienced it won’t be problem as this is a knowledge-based credential. Talent Management Professional or TMP: Now this is one certification program for you if you are seeking certification in talent management and not just HR certifications. The TMP certification program from the house of Talent Management Institute (TMI) offers credentials that are as per industry standards and can revolutionize the way organizations leverage their talent for long-term growth and success. If you are seeking a certification program in Talent Management, then you can go for TMP. The eligibility for the program includes a Bachelor’s degree related to HR with two years of experience in HR role and three years of work experience if you are from non HR background. Society for Human Resource Management – CP or SHRM-CP: If you are seeking an HR certification for beginners then other reputed credentialing body is Society for Human Resource Management that offers SHRM-CP or Certified Professional. SHRM is one of the largest HR professional societies that offer certifications for both beginners and seasoned professionals in HR. SHRM-CP is one such program designed for professionals who implement policies and strategies and serves as contact point for staff and stakeholders. There are certain prerequisites for the program that you need to fulfil before applying for the program. Now that you have a fair idea of certifications for HR beginners, it will be advisable if you are serious about HR career then you should start preparing from this moment. You should be comparing all the schools, online courses, along with HR firms that offer internships so that you can gain some experience while learning the HR practices. Other prominent HR certifications for beginners include Student Membership (CIPD) and Student Membership (ATD). You can compare each one of them and decide for yourself, which program is good for you.